Mrs. Phan and I welcomed our newest edition to the Phan Clan two weeks ago. “Baby Phan 2: The Reckoning” is a healthy and sleepy baby boy. Much like the birth of his sister, Baby Phan, I got right to work doing what any Phather of the Year candidate should do. I began to teach my son how to root for Philly teams. Observe. 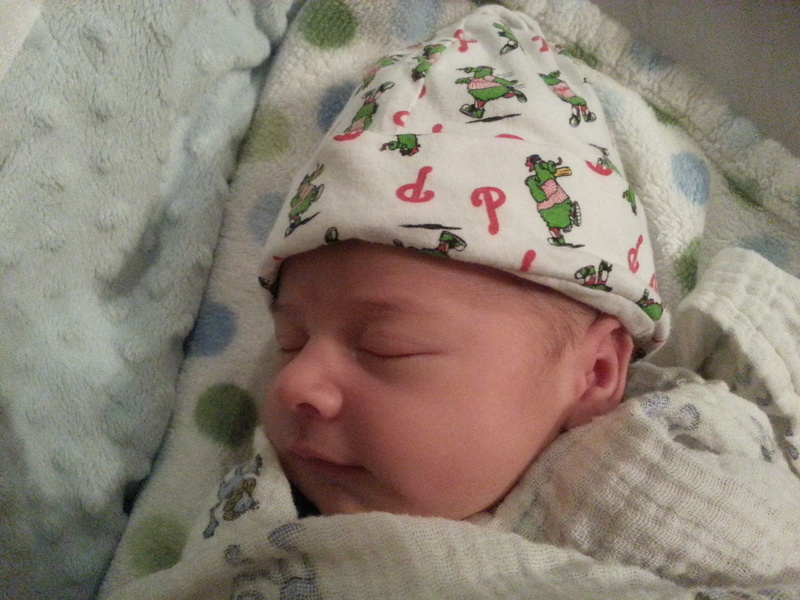 As you can see, he’s already a huge Phillies phan. Fortunately, he has no concept of winners and losers at this early stage. Soon I will begin to teach the ways of the Eagles and then the Flyers and Sixers. It’s not an easy task to teach your children who to root for when you’re displaced. Thankfully, I’m not currently living in an area that is home to any major teams. It’s just a mashup of all sorts of different people. There’s some Cowboys fans that live around the corner, but my shotgun keeps them off my property. I think I’ve done a fairly decent job at teaching the original Baby Phan about Philly sports. She has been able to identify all 4 major teams for over a year and when she chooses a color, she will relate it to one of the teams. 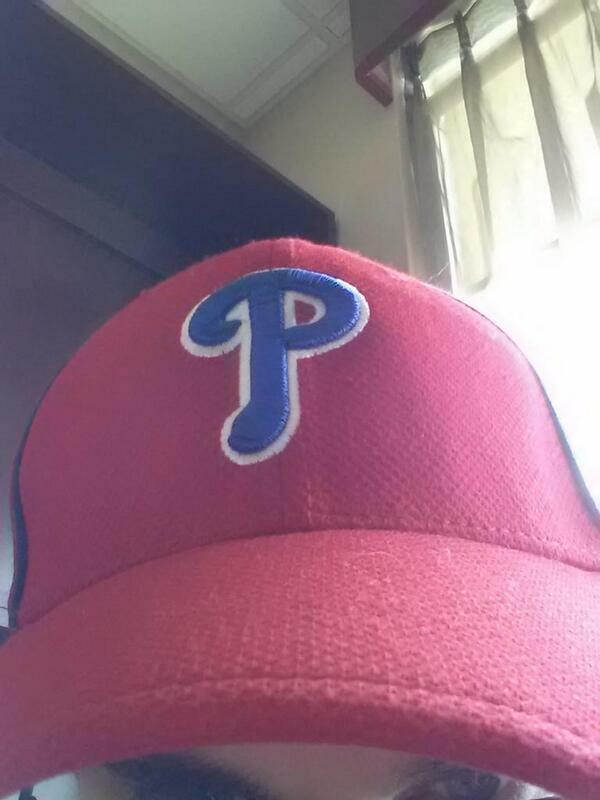 Red for the Phillies. Green for the Eagles. Orange for the Flyers. Blue for the Sixers. She doesn’t really like the color yellow (stupid Pittsburgh), which is awesome. Baby Phan has also been able to appropriately boo opposing teams for some time now. I didn’t even really teach her, she just naturally did it. I think there’s a booing gene that gets passed down. Time will tell if she’ll ever truly be interested in Philly sports. If for some horrific reason she isn’t, at least I now have a backup plan. This entry was posted in Philly Sports and tagged babies, brainwashing, phandom, rooting. Bookmark the permalink.